The Only Way Is Essex‘s Chris Clark ended his romance with Jesy Nelson over text, reveals friend and co-star Myles Barnett. These poor Little Mix girls. They really don’t have the best luck with guys, do they? 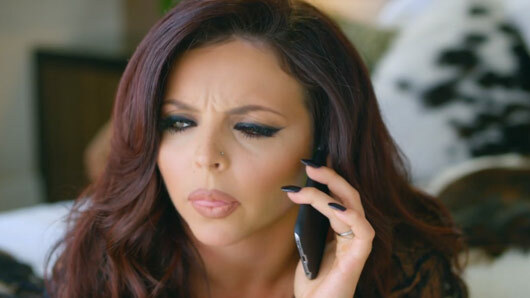 First it was Perrie Edwards who was dumped via text by her fiancé Zayn Malik, and now it has been revealed that Jesy too received a brutal break-up message from Chris. Speaking to OK! magazine, Chris’ pal Myles explained exactly how the split went down. Appearing alongside his girlfriend Courtney Green, he said: “People are saying he used her, but that’s not true. Chris and Amber agreed to take things slowly on TOWIE, but Myles thinks a rekindled relationship seems likely in the future. “They can get back together because no one cheated. It was Chris’ first relationship and he probably didn’t do things right, and she probably didn’t react right,” he said. Amber recently hit back at Little Mix fans accusing Chris of using Jesy to raise his celebrity profile. Amber wrote back: “1. I wasn’t in a relationship with her LOL. 2. Go to bed your boring”.